TMJ stands for temporomandibular joint and is used to describe dysfunction or disorders related to the joint. "Temporo," refers to the temple area of the skull; "mandibular," refers to the lower jaw; and "joint" is essentially where the head and jaw meet. Problems in this joint may be caused by a trauma, misalignment of the teeth, or excess muscle tension. The two bones that meet at the jaw are buffered by cartilage and five different muscles, so TMJ can cause a variety of troubles. 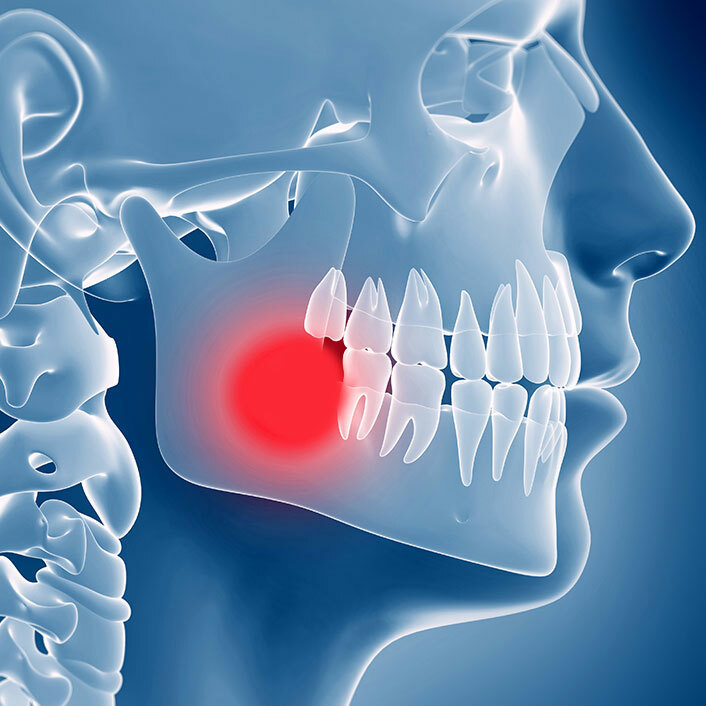 If you feel you are experiencing TMJ discomfort, please contact us. We may be able to identify the help you need.